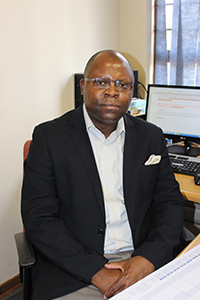 Alfred is an associate professor in business management at the NWU’s campus in Potchefstroom, while Munyaradzi is a senior lecturer in physical geography at the campus in Mahikeng. The selection committee commended both academics for their enthusiasm and passion for teaching and their ability to make their disciplines interesting and relevant for students. “For me teaching and learning needs to be fun. Therefore, the students play business games, do business simulations and have directors’ forums, and I regularly take learning outside the classroom,” says Alfred. Munyaradzi appreciates that to inspire students to love learning physical geography, he should make learning relevant to them by connecting the classroom to the real-world context. He does this through learning experiences that take the students outside the classroom and helping them understand the natural processes that shape the world from diverse sources. He uses a variety of learning techniques that range from tried-and-tested field classes and collaborative seminar work to video and animations, real-time use of the internet to observe and learn the workings of the physical environment, and the flipped classroom to enhance the student learning experience. The National Excellence in Teaching Awards are a project of the Council of Higher Education (CHE) in collaboration with HELTASA. The awards recognise exemplary and innovative teaching in different settings, and aim to generate a cadre of academics who can provide inspiration and leadership in teaching in their discipline, institutions and regions. 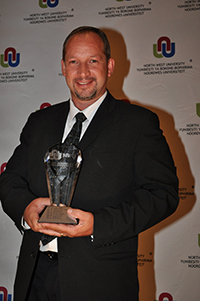 The awards are open to all academics at all South African public higher education institutions.